My friend Jennifer Borget is fabulous, and I’m delighted to share our chat with you, about her life. We talk about how we first met, as a by-product of the blogging community, but we didn’t talk about our adventure to Chicago last summer where we had a cancelled flight and impromptu sleepover at MY HOUSE before our new flight took us to Illinois. Growing up in suburban Georgia the oldest of 5 kids, Jennifer noticed she was a minority, but never felt affected by racism, thankfully, but definitely noticed later on an insensitivity from some people. She talks about the importance of teaching her children to know their black heritage and understand how things used to be different by finding great children’s books that teach about black history, and help them feel empowered as she is teaching her children about racism. We discussed her career as a journalist working at a news station, her husband as the stay at home dad for a while, then ultimately not just her staying home, but HOMESCHOOLING HER KIDS! Talk about a variety of parenting experiences! Her kids are still young, so she’s still looking ahead to teenage years and all that comes with that. But don’t worry, we still discuss electronic time and jobs around the house. At the end, she shares some of her favorite books to read to her kids, a set I’d never heard of before, and why she loves them so much, even to the point of getting emotional when she reads them. I’m anxious to find them to read to my kids! See links below. As a reminder, I’l be chatting about this episode over on the Capturing Joy with Kristen Duke Facebook and Instagram pages, so come share your favorite parts of our discussion. If you leave a review, I’d REALLY appreciate it, about the podcast as a whole, or episode #7 with Jennifer. You can listen to this podcast on itunes or right here on my site, PUSH PLAY BELOW! PIN THE IMAGE BELOW TO SHARE WITH OTHERS THAT MAY LOVE THIS, TOO. 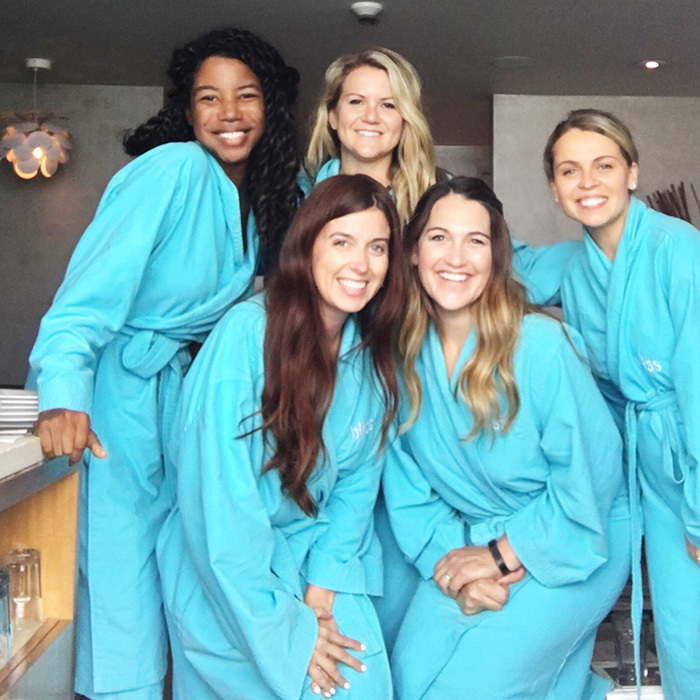 Here is a pic of Jennifer and I with a few other gals in Chicago at a spa. Click the link above to read more about our adventure.